Question: My Yard Got Flooded… and So Did My Well. Should I Worry? No matter how many times we talk about this topic, we know we will always find another reason to bring it up again. This time a reader named ‘Georgia1969’ had a question about the safety of the water currently in her well… that had apparently become flooded as warmer weather melted some snow in her area and caused flooding in her yard. First thing we can tell you… call your local health department and ask them if they plan on setting up any free or reduced rate water testing services. If not, then definitely call a certified water testing laboratory in your area and have them come out and perform testing on the water coming out of your well — before you drink a single drop of the water it produces! It takes only a tiny breach in the well casing or at the top of the well to allow potentially harmful contaminants into your water supply. Also, and this thought often gets overlooked by well owners, what if your well didn’t have ‘problems’ but your neighbor’s well did? Can contaminants creep down their well shaft and get into the water supply you both share? We would guess that would all depend on what sort of ‘problems’ your neighbor encountered… and we would also err on the side of caution and have our well water tested as a precautionary measure. What do well owners commonly test for in their water? Heavy Metals like lead, chromium and mercury frequently make the list due to the fact that science has long since established the risks associated with prolonged consumption of and/or exposure to heavy metals. Arsenic also ranks highly amongst the things well owners will test for on a regular basis. Changes in aquifer levels can have dramatic effects on the amounts of arsenic found in well water depending upon where a person lives. 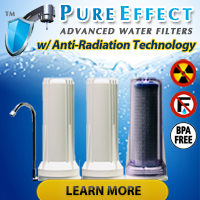 If interested in testing your own water for arsenic contamination, take a look at the arsenic test kits manufactured by SenSafe, a brand used by State, Local and Federal Governments as well as disaster relief organizations around the world. Commonly used Pesticides such as atrazine and simazine can easily find their way into flood waters and into a person’s well. Let us not forget our always hazardous friend named Bacteria who lurks around every corner and thrives in flood waters. Think of it this way: All the animals in your neighborhood go to the bathroom outside and all that waste gets swept up in flood waters…. only to later get deposited on everything those waters touched. As a matter of fact, water experts suggest testing one’s well for bacteria at least once a year, and preferably more often than that — regardless of whether or not flooding has occurred. Though a lot more common in rural settings, Nitrates and Nitrites can creep into pretty much any well water source under the right conditions. Homes with pregnant women, infants and/or small children should keep a vigilant eye on nitrate and nitrate levels due to the harm they can cause in developing young bodies. Look up ‘blue baby syndrome’ in Google for more information on this topic. As we said, that list does not include ALL of the things well owners (should) test for on a regular basis, but it does hit some of the high points. If you want a more comprehensive list, contact your local health department and ask them for the results of recent water testing conducted by State agencies. Do-it-yourself water test kits for field testing? In the past we have spoken highly of the Well Driller Standard and Well Driller Master test kits because of the level of convenience they offer an average homeowner who most likely doesn’t want to mess around with a whole bunch of complicated test procedures and potentially not-so-nice testing reagents found in other kits. Our opinion has not changed. We still feel that for the money, these two test kits make well water testing in the field (i.e. at one’s home) something that everyone can, and should, do regularly. 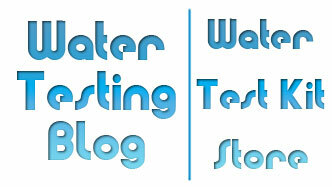 Do these (or any) home water test kits take the place of testing performed by a certified water testing laboratory? Absolutely not! If in doubt about the quality of your water and/or on a yearly basis we STILL suggest having a lab test one’s well water.